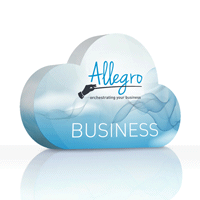 The license covers the complete Allegro Business Solution module set except detailed inventory records. The license includes five user accounts for access. Custom modifications based on a previous analysis are possible (paid separately). An extension for advanced inventory control, more user accounts or a larger file repository can be purchased separately.